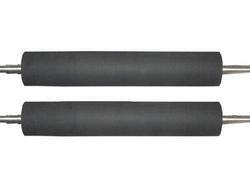 We have become the well-known manufacturer and exporter of a high-quality array of Ebonite Roller. The offered range is manufactured by utilizing high-grade raw material and advanced technology by our skilled engineers. Apart from this, our range is tested on various parameters in order to ensure its high performance and quality. Clients can avail these rollers from us in different specifications and at affordable prices. Being perfectly shaped and swift movement of our organization, we are instrumental in offering a qualitative range of Starter Roller. 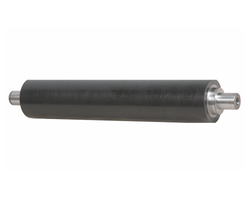 These offered rollers are designed by our professionals in compliance with international quality standards. Our provided range is manufactured using the latest technology, innovative machines and the finest raw material. Moreover, these rollers are tested on various stringent parameters to ensure their durability and quality. 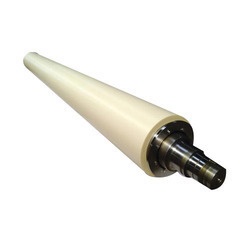 We put forward a broad range of Merceriser Roller that is manufactured in adherence with the set industry standards using advanced technology and optimum quality components. In tune with international quality standard, we provide the entire range in various sizes and specifications, as per the requirement of our clients. Our quality controllers perform a series of test on various parameters, in order to ensure the quality of these rollers. Apart from this, clients can avail the entire range from us at industry leading rates. We have firm ardent in manufacturing a subjective collection of prevalent quality Padder Roller. Our offered rollers are widely utilized as a part of the printing business for their adequacy and lifespan. Created with the utilization of top of the line innovation and fine review crude material, these rollers are accessible with us in differed stipulations. Jigger Roller offered to provide for optimum smooth performance support and finds use in Jigger machine that finds use in handling sublimation transfer processes like of non-woven fabrics, apparel fabrics, large banners, flags, blankets through the continuous transfer process. Further, these rollers are designed to support the demands of achieving continuous printing speed as well as successfully handle the demands of large volume printing of customers. We can offer these rollers in different configurations so as to match up with the specific work process needs of the customers. 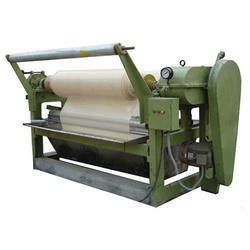 Looking for Textile Industries Roller ?